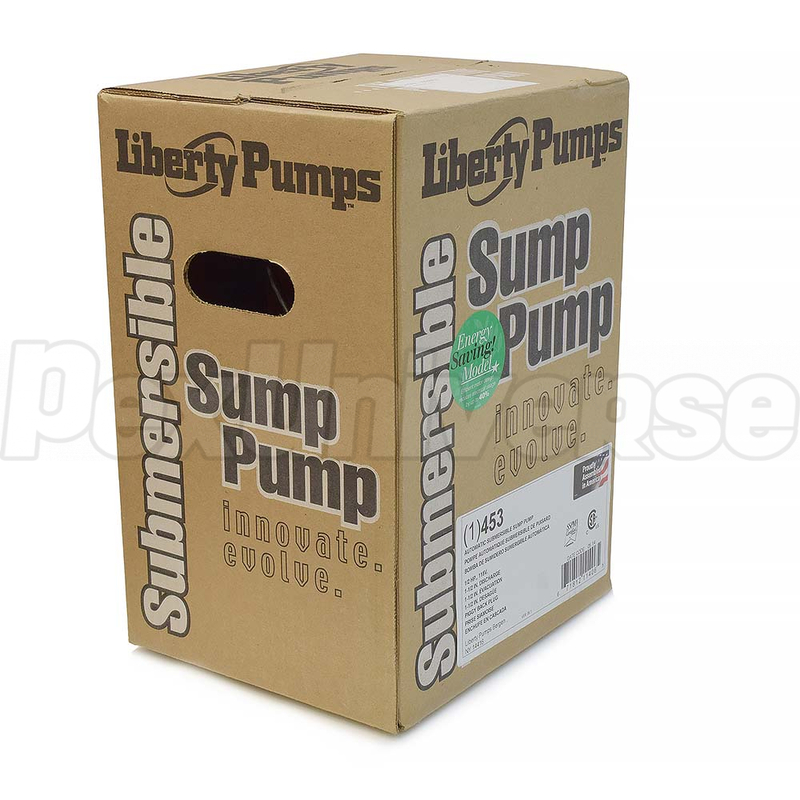 The Liberty Pump 453 is a versatile, automatic submersible sump pump with 1/2HPthat has a wide-angle float switch, which allows for manual use as well. This sump pump has two cords mounted to it. 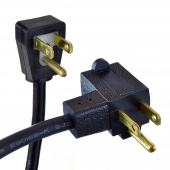 One connects to the float switch and the other connects to the sump pump's motor. 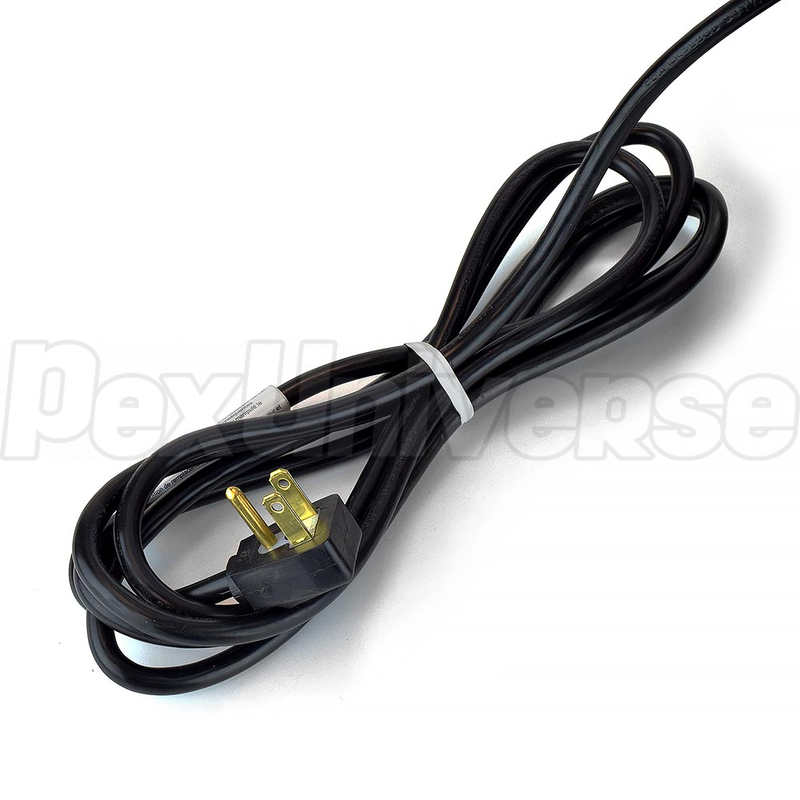 The switch cord has a piggy-back plug, enabling the sump pump's motor cord to plug into it. 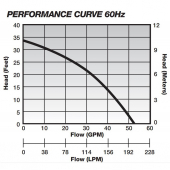 This design is intended to allow manual use as well as automatic. 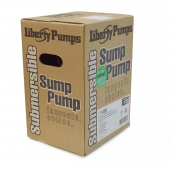 The Liberty Pump 453 automatic submersible sump pump has 1-1/2"NPT discharge and can handle solids up to 3/8". 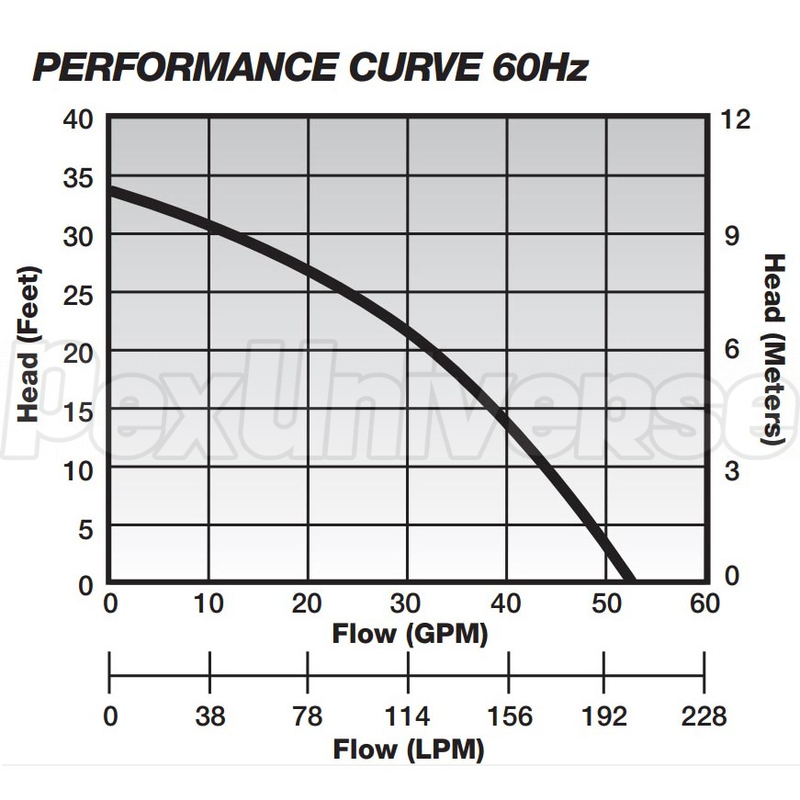 It also has a max lift of 34". 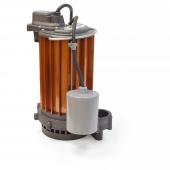 This submersible sump pump is equipped with a motor design that can reduce electrical usage by 40%. The Liberty Pump 450 manual submersible sump pump should not be run dry in order to prevent excessive seal wear and overheating. 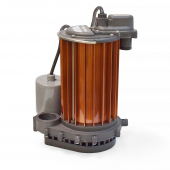 This sump pump requires a minimum sump diameter of 14". Removable base allows suction down to 1/8"